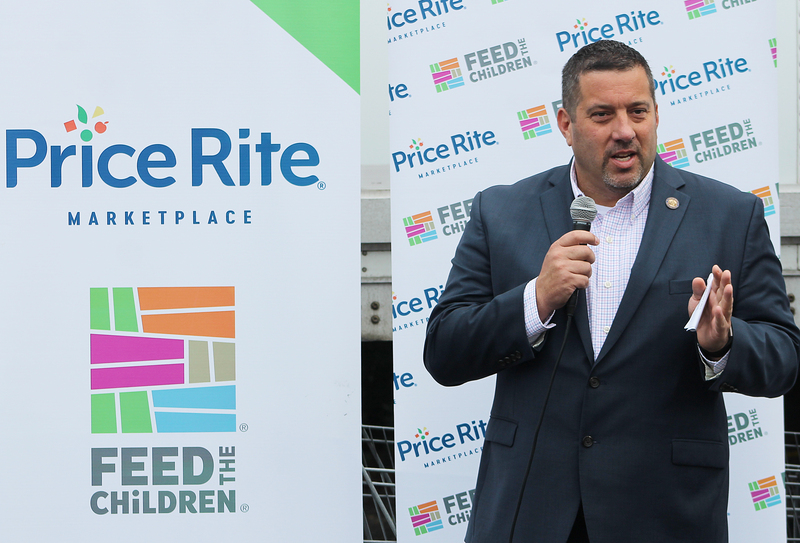 Photo: State Rep. Jay Case speaks to the volunteers at the Feed the Children Event at Price Rite in Torrington on Tuesday, September 11th. Torrington – Price Rite teamed up with the United Way and Feed the Children in order to provide groceries to over 800 low-income families. Rep. Case was invited to provide remarks to kick-off the event. After just coming from a 9/11 memorial ceremony, Case emphasized the importance of community in his remarks. Volunteers from various organizations came together and formed an assembly line to distribute essential goods to individuals in need. Items distributed included a 25-pound box of food, a 10-pound box of essentials including shampoo, conditioner, lotion and personal-care items.